Their club season may have finished but Chichester City ladies and girls have still been busy both on and off the pitch. Lucie Challen, Lauren Cheshire and Emma Alexandre were all called up to the Sussex women’s senior squad in the final game of the representative side’s season. The Chi players made key contributions to the 6-2 win over the Army Ladies to win the Southern Counties Cup. Chichester City Girls under-15s have had a fantastic season and they celebrated their success with a trip to Wembley to watch the Women’s FA Cup final. The girls had a turbulent start to the season with the loss of their manager with the first fixture was days away. In a twist of fate, highly-rated senior female coach Lizzy Ogden suffered a major injury which hampered her playing but enabled her to step in and coach. 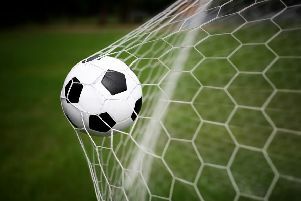 The season started with some poor results but they soon found their form when Ogden signed several key players and moved the team to 11-a-side football. Two of the youngsters, Alice Walford and Loulou Robson, were invited to train with the seniors. The team put together a fantastic cup run and narrowly missed out to Worthing in final, losing 4-3. In the league, the girls went undefeated in the second half of the season and were crowned champions of the Sussex B division. Next season many of the girls will step up to train with the senior sides while continuing to play in the Sussex under-16s division under new manager Clive Stubbs. Meanwhile City’s under-11s travelled to a small-sided tournament in Crawley and finishing third with the new manager Mark Middleton in charge.